Hot diggity dog, it&apos;s time for another year of MADNESS as we pit the best of Manitoba attractions against one another in an epic voting battle! WOW. The North is clearly a force to be reckoned with, folks. We can only hope for even greater competition at this year&apos;s Drive In Madness, where 32 retrotastic drive ins go head to head in the most intense food fight Manitoba has seen since the Great Poutine Brawl of 1958 (only 50&apos;s kids will remember). The last drive in standing will receive bragging rights + an official plaque to display in their establishment (and of course, all the promotion that comes along with being crowned the winner). 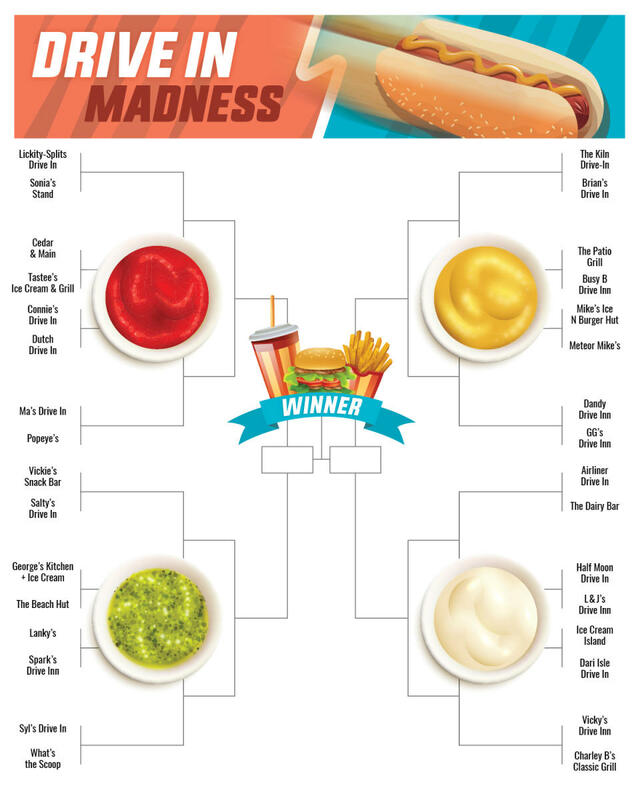 The competitors have been squeezed into 4 divisions: Ketchup, Relish (ft. wildcard voting winner Spark&apos;s Drive Inn), Mustard and Mayo. Every vote counts, so don&apos;t let yours go to waste as Drive In Madness begins! Please note that you will be required to login to Facebook to vote. The easiest way to vote is to ensure you are already logged in on your browser or on the Facebook app. The round closes on March 21 at 11:59 pm CST, with the next round going live on March 22.